A CONCERNED Upper Dawson Rd resident has had enough of reckless drivers treating the residential street as a highway and is petitioning for safety measures to be put in place. The woman, who wished to remain anonymous, sent an SMS (below) to The Morning Bulletin which said it was only a matter of time before one of the many near misses or accidents became a fatality. "My neighbour had a car run into his brick fence and a month later into the back of his work car, which was parked out the front," she said. "Across the road had a car run into the back of theirs. It is a dangerous road and a majority of people I have talked to have seen or had near misses or accidents on the road. 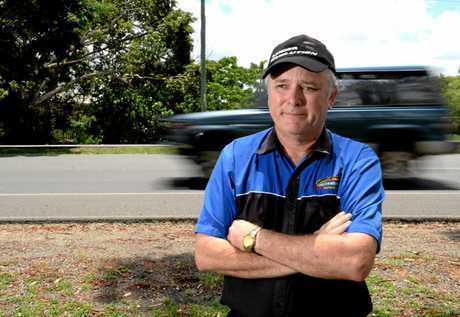 "There are more cars on Upper Dawson Rd than the Bruce Hwy at times and we have cars doing excess of 60kmh. At night it is like a speedway track. "The amount of accidents people have seen is unbelievable. It's just an unsafe road." 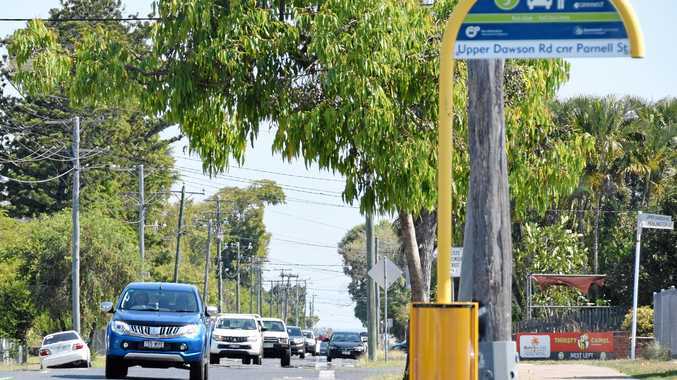 Upset with a lack of action from Rockhampton Regional Council, she started a petition to have the speed limit lowered and a pedestrian crossing installed. "So far I have about 200 signatures from 40 per cent of the residents on Upper Dawson Rd," she said. "I haven't had a single person say they would not sign it. Everyone is outraged. "We need the speed limit lowered and two or more pedestrian crossings. A lot of elderly people live here, and they struggle to cross the road. "Children crossing to get to St Peter's School look left to right, keep looking and just run because there is no pedestrian crossing for them. "Also, if you are coming out of Oswald St onto Upper Dawson Rd it is an accident waiting to happen - you just don't know when to go. "A set of lights between Separation St and Lamington St would allow some of the people in those side streets to come out safely." Another concerned resident, Don Frazer has been living on the residential street for a little over six years and witnessed the traffic increase dramatically over that period. "These out-of-towners are using Upper Dawson Rd as the highway and it is going to get worse now they are putting new traffic lights in for Aldi," he said. "For anyone living on Upper Dawson Rd, to get out and join the flow of traffic is almost like playing Russian roulette. "Pulling into your driveway is a nightmare, you can't pull in at 60km/h, you have to slow down and the driver behind you comes right up, blows their horn and abuses the hell out of you for slowing them down. "If I see someone waiting to get out of one of the side streets I pull up and let them go and will get someone pull up behind me, abuse the hell out of me and then tailgate me. "If they showed a bit more courtesy, respect and consideration for the people who live here and adjacent streets things would be a lot better." Mr Frazer said he would like to see speed cameras, or the speed limit dropped to 50km/h. "They want to go somewhere, well so do we, so show some consideration," he said. Driving instructor Leyland Barnett said the real issue stemmed from the countless number of traffic lights along Gladstone Rd. "At times it can take up to half an hour to get from one side of town to the other because of the sequencing of the traffic lights," he said. "The trouble is traffic comes up to one light, stops, then you get to the next light and it changes and stops. "It's not synchronised properly to allow traffic to flow through and that is the reason so many people opt to go to Upper Dawson Rd to avoid the traffic lights altogether. It saves them nearly ten to 15 minutes on their travel time. "The extra set of lights at Aldi are just going to exasperate the problem." He said unless something is done with the synchronising of those lights, more traffic will be looking for easier alternatives to get across to the other side of town. 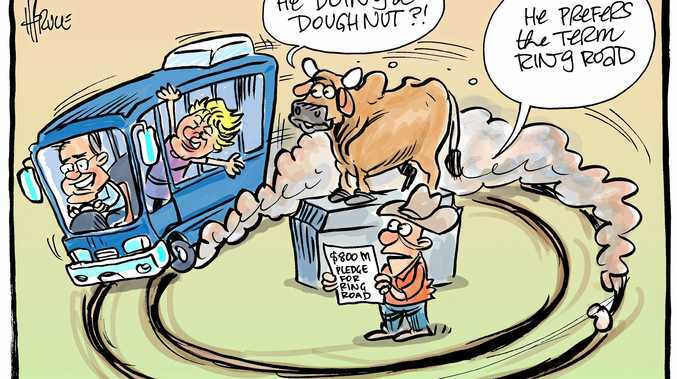 The petition will be handed to Rockhampton Regional Council by the end of February. The council was approached for comment but did not respond by deadline. I agree that R.R.C. need to seriously look at Safety measures on Upper Dawson Road. It is only a matter of time before one of the many near misses or accidents becomes a fatality. Please Heed the Warning. This quite narrow road was never meant to be the Bruce Highway or Benaraby Dragway. The rate payers along UDR and its side Streets (many elderly) deserve better than this. Do something now and stop ignoring this matter, it won't go away.